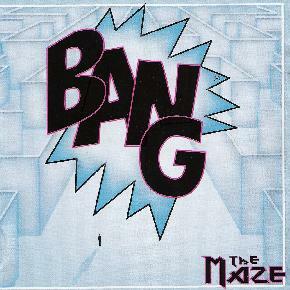 Bang was one of those cult 70’s bands that released two records and disappeared. The original records are worth a lot of money and fans of the heavy hard rock of this era have been inspired by bands like Bang, Leafhound, Jericho, Buffalo, Incredible Hog, Captain Beyond, etc. Well, here are most of the original guys back for some studio sessions over a two year period and a new CD. How does it compare to the original?? It is very different. While there are a few songs with the heavy riffs of old (the Maze, Popcorn Dreams, Motion), most of the material is more laid back and there are quite a few ballads, but these are well crafted songs, 70’s style. Not 90 commercial crap. "Mama Rock" reminds me a bit of Cheap Trick or Styx. On "Sad and Lonely", the singer reminds me of a lower pitched Supertramp. Excellent vocalist! "Bow to the King 2" is a fantastic song with choir and great sound. It could have been improved with some ripping guitars at the end of the song. "Motion" has some of the heaviest riffing on the record. Sounds a bit like early Pentagram! Several ballads close the CD. Overall, I was pretty impressed with the songmanship presented here and a great old analog 70’s sound for sure! For more information you can vist hte Bang web site at: http://www.bangmusic.com.